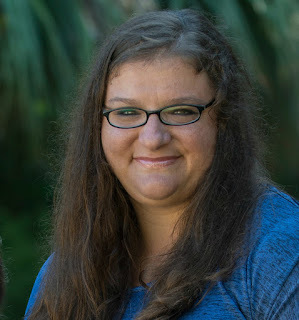 So very excited to be joining the Homeschool Help Series! This week we are discussing How to juggle cooking and homeschooling? As a homeschooling mom to three and wife to an amazing man that often gets home after kids are ready for bed, dinner is no small feat. Yet, when hubby gets home late after a long day at work one of the first things he does is head to the microwave to see what is waiting for him. He has expressed over and over again how grateful he is to come home to a home cooked meal practically every night. Homeschooling two kids and and keeping my preschooler from destroying the house and her siblings is often about all I can handle in a day...I feel a major sense of accomplishment to get up a load of laundry or run the dishwasher...getting dinner made can be a wonder-woman-like task! So, how do I avoid eating at Chik Fil A every night, as tempting as it is? 1) Plan Ahead We start our weekly grocery budget on Fridays. There are several reasons for this. One, we tend to overspend on eating out during the weekends, and this keeps us from blowing the budget. If you spent too much over the weekend, you simply have less to spend on groceries for the week. Two, I can get the grocery shopping done while hubby is home and I can go ALONE. 2) Plan Realistically I plan a weeks worth of meals with our schedule in mind. For example I don't plan labor intensive meals on Mondays, Wednesdays, or Fridays when I have to play chauffeur for E's gymnastics. I use a simple calendar template and plan out the week's meals and shopping lists. I also try to never make more than one new meal a week, especially if it looks complicated. I like to keep it simple! 3) Utilize the Crock Pot Up until a year or so ago, while I owned a crock pot, I couldn't have come up with one crock pot recipe if I tried. Partly in thanks to Pinterest, the crock pot has saved dinners around here more times than I could count. I am a mom of littles. I homeschool. I stay at home with said children 24 hours a day, 7 days a week. I interact, engage their minds, and attempt to teach them every day from about 7am on...by dinner time, I am toast. I know this and I plan. When dinner is made by 9 am it is rather difficult for 5 o'clock to show up and you be unprepared! When you crash...hey, at least dinner is made! 4) Keep it simple We keep a regular rotation of meals and while I like to try something new occasionally, I have an ingredient limit. Its not a hard limit, but I try to stay away from anything that includes too many ingredients. It may seem silly, but I like keeping is simple because I can handle simple. Sane mom with an edible meal trumps stressed mom with a gourmet meal every time. Always have at least one super easy meal on hand for those, "I just can't do anything else" nights. 5) Include the kids It's true cooking and baking make great math lessons...but beyond that, including your children in the preparing of meals allows them to learn how to cook and spend great quality time with mom. Preparing meals does not have to be something that takes us away from our kids, it can be something that enhances our time with them. My oldest at 7 is already great at helping out at making sandwiches for lunch when I need an extra pair of hands. They love to grab their stools, gather around the island and help! Yes, it takes longer, can make a bigger mess, and is not always the best idea, but when we can, I know they love it! 6) Know when to go to Chik Fil A It's true...I admit it. We eat fast food. I really don't feel all that guilty about it, but sometimes I feel as though I should at least pretend to...No matter how well you plan and strategize, homeschooling life is not static...things happen, bad days overwhelm us and we need to have the local pizza place on speed dial. It happens. For us, every Wednesday, I know we have to take E to gymnastics at 4:30, and pick her up at 6:15 for church. There simply isn't time to go home, so we plan every week to eat out. I am realistic about our needs and assert my expectations accordingly. 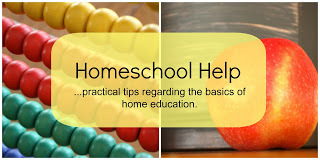 This post is part of the Homeschool Helps series. Don't forget to check out these other great homeschool moms discussing the great juggling act of feeding their families while homeschooling! Hwee @ The Tiger Chronicle Nutritious meals, quick!-- 3 simple tips that have helped me to prepare nutritious family meals everyday. Julie @ Highhill Homeschool Strategies for Cooking Healthy for a Family -- Here are five strategies for preparing healthy meals when time is an issue. Erin @ Seven Little Australians Plating Up -- Erin shares how the key for her family to successfully juggling cooking is organisation. Bernadette @ Barefoot Hippie Girl Hippie Method: Food Philosophied -- How I make easy, delicious, (relatively) healthy food from scratch-almost every day. Savannah @ HammockTracks Cooking Tip for the Home School Mom -- Even if you don't enjoy cooking there are ways to conquer the "What's for Dinner?" question without calling Dominos! Next week, join us as we talk about homeschool co-ops! "Know when to go to ChickFilA" ...love that! Thanks for joining the team! Welcome to our panel!=) I am looking forward to getting to know you. I didn't write either the menu planning or planning according to schedule thing-but I do both. I try to have an easy meal Monday night because I shop every other Monday. I go for leftovers, or crockpot on Wednesday bc we do Bible Club and I get home after 5:00. Realistic planning, not wishful thinking, makes all the difference, doesn't it! Great practical advice! Maria gave me some of your crockpot recipes and I am loving them. If you have anymore, send them my way. We are LOVING our crockpot this past year. I love my crock pot too. I hadn't thought about using Pinterest for crock pot inspiration - thanks for that one!